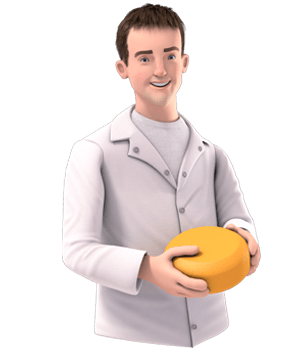 Inspired by our cultural mosaic of traditions, peoples, and tastes, Canadian cheese-makers craft delicious, creative cheeses that are recognized for their quality and flavour around the world. Clothbound cheddar was bound to make a comeback. 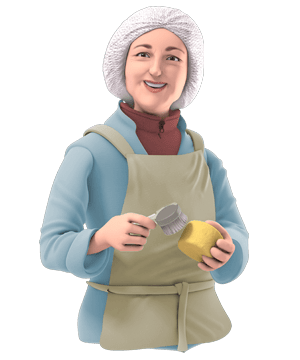 Once the only way to make cheddars in Canada, Cows Creamery was the first to revive this lost technique and reintroduce this deliciously unique cheese-making method to Canadians. 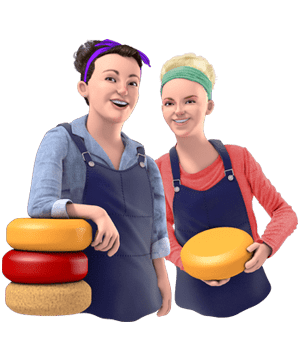 Using their family’s old rural property and their uncle’s next-door Jersey cow dairy farm, the Davison sisters make hyper-local cheeses with very rich, very creamy family-farmed milk. You can be sure the taste of Canada is woven into every inch of Velvet Blue: their blue-brie cross. If you like wine with cheese, you’ll love cheese soaked in wine. Originally a way for medieval farmers to hide their cheeses from greedy local lords, Shep soaks this cheese in a Canadian wine from Palatine Hills in Niagara. When it comes to cheeses, rich milk means rich flavours. Luckily, rich milk is the specialty of the single herd of Guernsey cows used to help make Niagara Gold. Try it at different times throughout the year and see if you can taste the seasonal differences. Weekend services aren’t the only service the Sainte-Élizabeth de Warwick church provides. 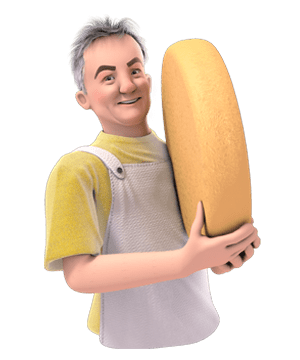 Cheese-maker Jean Morin transformed his local church into a cellar where he ages some of his award winning cheeses in the front, while church services continue in the back. When you have Canadian cheese and a unique pairing, you’re in for a flavour-experience you won’t forget. Sweet, savory, and deliciously nutty—one bite and you’ll know blue cheese and chocolate belong together. Look for our new logo. A high standard of care for our animals, quality and food safety and very high standards of milk production. Besides great taste, there are many reasons to choose Canadian cheese. 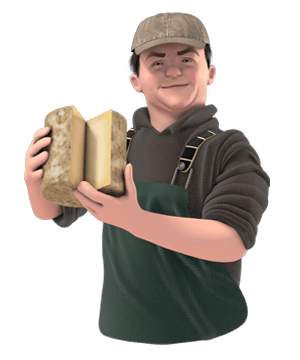 So, the next time you’re at the grocery store, look for the new Dairy Farmers of Canada logo on your favourite cheeses and dairy products, and feel good knowing they’re made with quality Canadian milk.